J Swygart | The Lima News Marquise Turner of Lima was sentenced Monday to three years in prison for his role in a November armed robbery during a drug deal. His co-defendant, Decorian Dawson, was sentenced previously to four years in prison as the gunman in the robbery. LIMA — A Lima man who took part in a Nov. 7 drug deal that ended in an armed robbery was sentenced Monday to three years in prison. Marquise Turner, 24, appeared in Allen County Common Pleas Court after pleading guilty last month to a first-degree felony charge of aggravated robbery. A firearm specification was dismissed by prosecutors as part of a negotiated plea deal. A second count of aggravated robbery with a gun spec was also dismissed. Prosecutors said Turner and Decorian Dawson, also of Lima, arranged a drug deal in the early-morning hours of Nov. 7 at a residence on Heathway Lane in Lima and subsequently robbed two men at gunpoint who intended to purchase the drugs. Turner and Dawson were picked out of a police photo lineup by the victims, who described Turner as the one who set up the deal and Dawson as the one who put a gun in the face of the victims. Dawson, 26, was sentenced previously to four years in prison on a first-degree felony charge of aggravated robbery. Judge Jeffrey Reed told Turner he will be eligible for judicial release after serving six months of his prison sentence. But the judge said prison time nonetheless was necessary. “You’ve got to be held accountable for the decisions you’ve made. This doesn’t have to ruin your life, but you’ve got to be held responsible,” the judge told Turner. 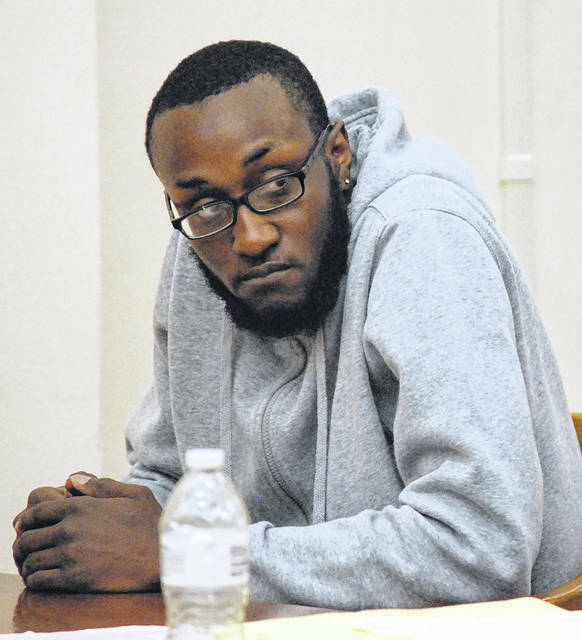 https://www.limaohio.com/wp-content/uploads/sites/54/2018/05/web1_Marquise-Turner-sentencing.jpgJ Swygart | The Lima News Marquise Turner of Lima was sentenced Monday to three years in prison for his role in a November armed robbery during a drug deal. His co-defendant, Decorian Dawson, was sentenced previously to four years in prison as the gunman in the robbery.